Why is London a good choice for associations? London is the perfect location for your association's congress, with excellent transport links, a wide-range of large venues and a vibrant cultural scene. It is also well-connected, cosmopolitan and cutting-edge, gives access to quality speakers, a higher number of delegates and unrivalled event expertise - it has something to offer every association event. London & Partners' team of association experts is on hand to share its wealth of knowledge, information and contacts. They offer advice and assistance from the start of the bid process right through to the staging of your event, including: advice on venues, locations and budget, written support for your bid and promotional tools. The Queen Elizabeth Olympic Park opens in summer 2013 and will offer five world-class sporting venues that can be transformed into inspiring event spaces for conferences and gala dinners. Other new venues include The Shard, Europe's tallest building, plus improved properties. London is one of the most accessible cities in the world. With five international airports, 300 direct flights, 22 trains from Paris and 11 trains from Brussels daily, your journey will be simple. £6.5 billion was invested in transport in the run-up to London 2012. The Queen Elizabeth II Conference Centre is uniquely situated in the shadow of Big Ben, Westminster Abbey and the London Eye, specialising in events for up to 2,500. ExCeL London offers 100,000m2 of flexible event space, including the UK's largest auditorium and London's largest banqueting hall, holding up to 3,000 guests. The Novotel London West Hotel and Convention Centre provides 5,500m2 of conference and exhibition space over four floors, with capacity for up to 3,000. When choosing a venue to host a large-scale gala dinner, the options range from the traditional to the contemporary. Steeped in London's maritime history, the Painted Hall holds up to 350 people. Meanwhile, Troxy, the art deco former cinema dating back to the 1930s, holds up to 1,200. And the elegant Grosvenor House Great Room holds up to 2,000. London has an ever-growing range of hotels. The city now has more than 102,000 rooms and more than 1,000 event venues, covering a range of budgets and accommodation needs. Park Plaza Hotels & Resorts offers five individually designed, contemporary hotels across London with more than 2,200 rooms. Elsewhere, St Ermin's Hotel is a fourstar deluxe hotel, located in the heart of London, offering 330 rooms, while the Aloft London Excel offers 250 bedrooms. Choosing a cultural, contemporary or historical backdrop for an accompanying partner event will provide visitors with a true insight into the UK capital's past, present or future. Almost all major landmarks, including the Tower of London, Natural History Museum and Royal Albert Hall are available as awe-inspiring event settings. The International Association of Women Judges: 800 delegates (May 2012) - the world's leading women judges, from 50 countries, met in London to debate legal issues. The meeting attracted a record turnout and went beyond the expectations of the association. 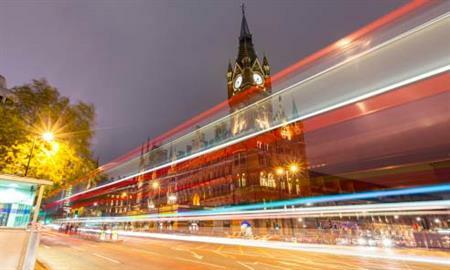 Congress 2015: 35,000 delegates - the largest cardiology meeting in the world will host around 35,000 medical professionals in London for the five-day event.